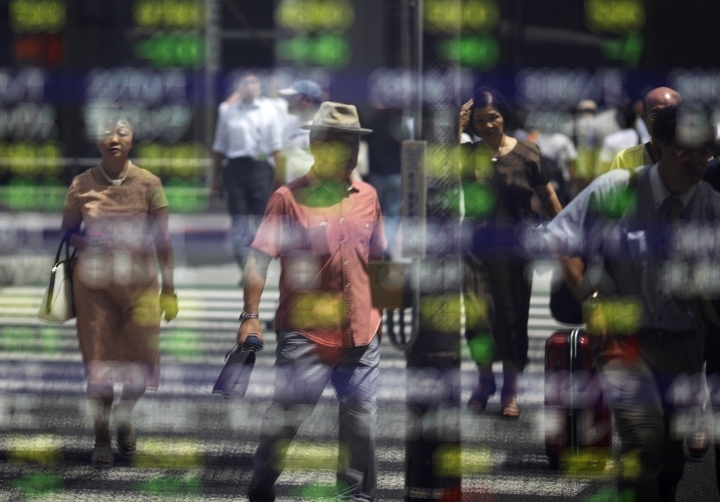 SEOUL, South Korea — Global stock markets drifted lower on Tuesday as investors were digesting mixed reports on the health of the world economy and awaited more U.S. data later in the day. KEEPING SCORE: Britain's FTSE 100 fell 0.4 percent to 6,917 and France's CAC 40 shed 0.6 percent to 4,471. Germany's DAX fell 0.6 percent to 10,675. Futures augured a tepid start on Wall Street. Dow and S&P 500 futures were both down 0.1 percent. MIXED SIGNALS: Global markets have seen small gains and losses as investors digest mixed reports on the health of the global economy. Britain registered a jump in producer prices — the cost of goods at the factory gate — due to the pound's slump in the wake of the vote to leave the European Union. That will increase costs for businesses and is likely to cause consume prices to rise in coming months. Japan's economy grew at a lower-than-expected 0.2 percent in the second quarter, which could push the Bank of Japan to do more to stimulate the economy. Last week, data showed that Chinese factory output and other economic activity weakened in July. American consumers cut spending in July, but a survey showed that U.S. homebuilders are feeling more optimistic as prices and sales of new homes rise. LOOKING AHEAD: Investors will later in the day keep an eye on a run of U.S. data that will include inflation, industrial production and housing starts for July. Economic releases are being watched for hints on how they might affect the Federal Reserve's plans to raise interest rates again. Though the labor market has been robust, the last report on retail sales disappointed. 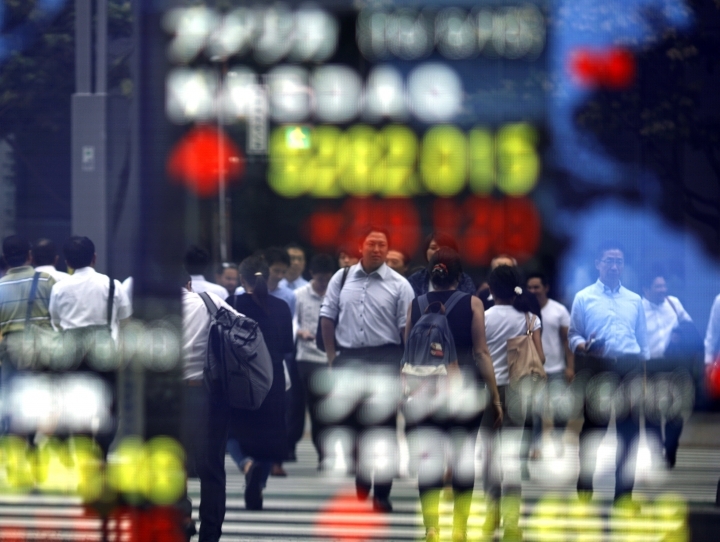 ASIA's DAY: Japan's Nikkei 225 fell 1.6 percent to 16,596.51 as the yen gained against the U.S. dollar. 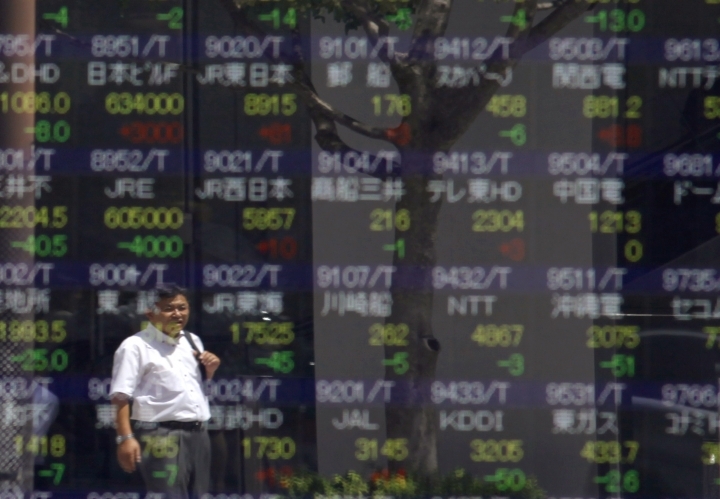 South Korea's Kospi eked out a 0.1 percent loss to close at 2,047.76. Hong Kong's Hang Seng index was down 0.1 percent at 22,910.84 while Australia's S&P/ASX 200 dipped 0.1 percent to 5,532.00. 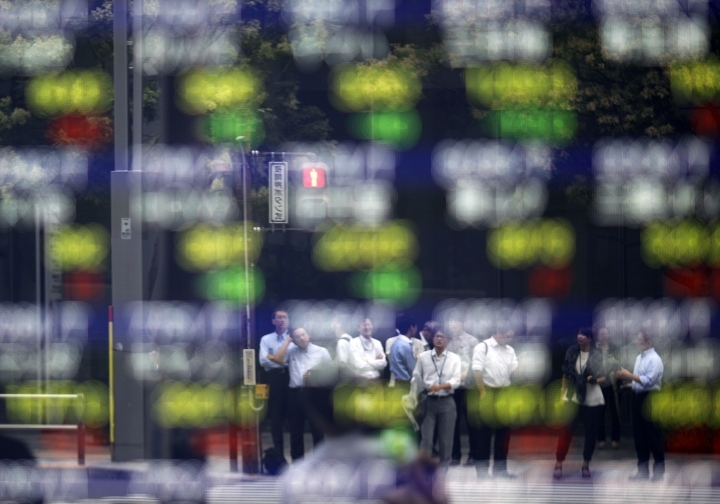 Stocks in mainland China and Taiwan fell and markets in Southeast Asia were mostly lower. OIL: Benchmark U.S. crude added 18 cents at $45.92 per barrel in New York. The contract jumped $1.25 on Monday after Russia said it would work with Saudi Arabia to achieve market stability. Brent crude, a benchmark used to price international oils, was also 18 cents higher at $48.53 a barrel in London. CURRENCIES: The dollar fell to 99.93 yen from 101.21 yen and the euro rose to $1.1293 from $1.1183.